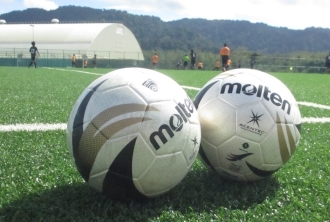 The Phuket Football Cup is an annually International Soccer 11-a-side Tournament for youths U13-U15 (boys) and organized in Phuket Island, Thailand. 2019 Phuket Football Cup. >>> Registrations Are Now Open!!! Tournament Dates: 29, 30 November and 1 December 2019. Categories/Ages: U13 & U15 (boys). The age groups are as follows: U15 (Born 1 Jan 2004+) and U13 (Born 1 Jan 2006+). Required Teams: Club, Rep, Academy and School. Playing Venue: Thanyapura Sports Complex, Phuket Island, Thailand. This is a stay and play tournament which means you must take a package in order to participate (see below). Priority will be given to teams taking the tournament package. The tournaments shall be played in accordance to FIFA Laws of the game. All participating should note that by accepting the invitation to this tournament they are deemed to have accepted and agree to abide by the Rules and Regulations as contained in the Official Phuket Football Cup’ Tournament Rules. The tournaments shall be played in accordance to FIFA Laws of the game. You will play a minimum of 4 games, Max 6. A maximum of 10 teams will be accepted in each age group. The tournament will run for 3 days. All inclusive tournament packages will be offered to all participants. Accommodation at the playing venue or at resorts near the beach. Cup Champions + Medals for all players. Cup Runners-up + Medals for all players.